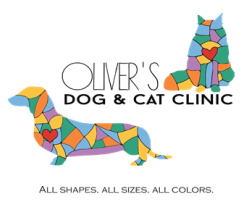 Oliver's Dog and Cat Clinic provides complete veterinary services for your pets. Our team is committed to providing quality and compassionate care in a friendly environment. The clinic has been serving East Harlem and surrounding New York communities for nearly 19 years. We look forward to becoming your other family Doctor! ALL SHAPES. ALL SIZES. ALL COLORS. We accept all major credit cards and Care Credit. We do not accept checks or offer payment plans.